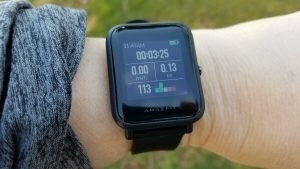 I’ve reviewed a number of fitness trackers and smartwatches so I thought I’d put together a list of those I’ve reviewed that were the best in certain categories. At the end I’ll give you my pick for the best smartwatch, best GPS watch, best budget fitness tracker, and the best all-around smartwatch. 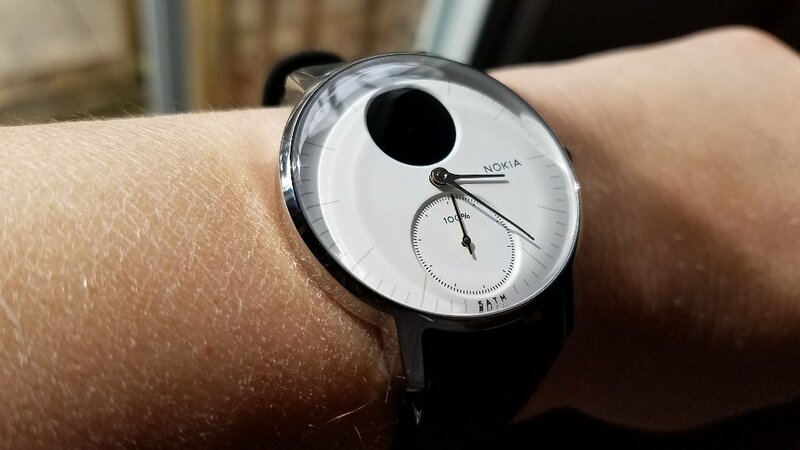 This one might surprise you as it did me but the best watch I’ve tested so far for heart rate accuracy is a hybrid smartwatch, the Nokia Steel HR. (on Amazon) It literally seems to never miss a beat and I’m not the only one to point out how well its’ HR sensor is. I hope the Steel HR, recently purchased back by Withings expands on this capability. I’d like to see more advanced metrics through its’ app, like HRV (heart rate variability) but still the Steel HR so far has the best HR sensor of anything I’ve tested. A runner-up would be the Fitbit Versa. It has done very well in my tests and I’m glad because a gripe I had with my old Fitbit Blaze was how wonky its’ HR sensor could be at times. The Versa is a big improvement. 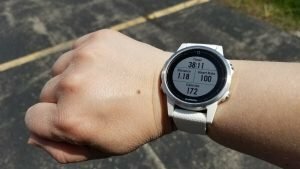 For the most accurate GPS I have to hand it to the Suunto Spartan Trainer Wrist HR. ( See on Amazon) The built-in GPS on the Spartan Trainer WHR is good, really, really good. The GPS actually protrudes from the watch case and the watch strap fits snugly around it. This increased size for the GPS seems to make a big difference. If you hike in dense forests or other challenging areas, it should be able to keep up and keep track of you. A runner-up would be the Garmin Fenix 5s. The Fenix is usually right there very close with the Suunto and certainly accurate enough for most people’s needs. The Fitbit Versa is good at sleep tracking, as are most Fitbit’s but in my experience the Samsung Gear Sport on Amazon has done even better. I also prefer that the Gear Sport shows a record on the watch, complete with a light and deep sleep graph. There’s no need to even look at the Samsung Health app, though you can. Of course, Fitbit is also very good at sleep tracking too so either one you prefer should work out well for you. This category is a little difficult because there’s so many contenders but I’ll give it to the Fitbit Versa. In my tests of separate 100-count steps, the Versa usually counts exactly 100 steps and if it’s off, it’s only off by a single step. 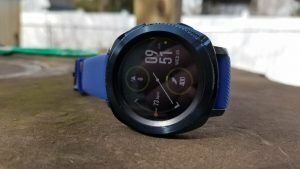 There’s lots of runner-ups like the Garmin Fenix 5s (a little generous on steps), Samsung Gear Sport (sometimes a little stingy on steps), and even some of the budget watches do a good job. Most newer fitness trackers do well with step tracking. However, some don’t start counting your steps unless you walk more than 20 steps or even 40 steps at a time. Several of the budget fitness trackers I’ve tried are like that. This is done to prevent counting random arm movements as steps. However, very few name brand fitness trackers do that. Most will try to count every step. And of course, when pushing a stroller, shopping cart, lawn mower, etc., most fitness trackers will miss those steps since they use arm movements made when walking to count your steps. If you do a lot of walking carrying things or pushing things then you’ll want a clip-on pedometer like the Fitbit Zip. Now we’re getting more into the smartwatch features that not all fitness trackers are capable of. What a mean by smartwatch is the ability to download apps, make and receive phone calls, respond to text messages by voice or other means, etc. 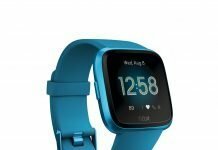 In this category, I’ve tested the Fitbit Versa, Samsung Gear Sport, Samsung Gear Fit 2, Ticwatch E, and Ticwatch Pro. And the best? It’s a very close race between the Gear Sport and Ticwatch Pro and I’ll be comparing these two watches in detail in a future article but for me the best is the Ticwatch Pro (on Amazon) which runs Wear OS (formerly called Android Wear), although I really think the Gear Sport is a very capable smartwatch as well. The Ticwatch Pro comes out ahead for me because its’ text-to-speech capabilities are so good. I rarely have to repeat myself when responding to a text message by voice. It understands what I’m saying usually the first time. 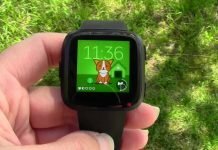 The same is true of the Ticwatch E. Then of course with Wear OS on the Ticwatch Pro I have access to Google Assistant and Google Maps both of which are very useful to have. 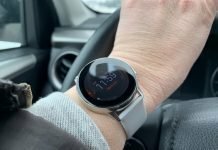 Unlike the Gear Sport, the Ticwatch E (also on Amazon) and Ticwatch Pro both have a speaker so I can answer and make phone calls through the watch when connected to my phone. 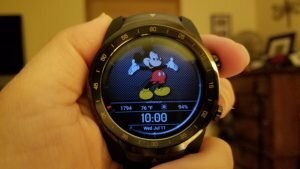 The speaker is plenty loud enough with the Ticwatch Pro (it’s a little quiet on the Ticwatch E) and those hearing me speaking through the mic on the Pro have always been able to hear me clearly. For the fitness features, the Gear Sport has more to offer but the Ticwatch Pro is no slouch. I’ll be getting into much more detail on all of this later. I think this is an important category too because watches need to be comfortable and a fitness tracker that can also monitor your sleep needs to be super comfortable, like you forget you’re even wearing it comfortable. There’s two that fit into this category for me and that is the Fitbit Versa and the Amazfit Bip. The size, shape, and weight of these watches make them very comfortable to wear. It’s really a toss up between the two, so I’m giving this category to both! Also, bracelet style fitness trackers like the Fitbit Alta HR, Fitbit Flex 2, Samsung Gear Fit (all on Amazon), and many of the budget fitness trackers also fall into this category. They’re comfortable, they sit well on your wrist, and are much more low-key than a big bulky GPS hiking watch. They track your daily steps, distance, most have continuous heart rate tracking, display basic notifications, and have a good battery life. With the Versa, you’ll get some smartwatch features too since apps can be downloaded to it. All of these are just good, practical, everyday fitness trackers. I enjoy hiking, bicycling, watersports, kayaking, etc., not every fitness watch is up to tracking those types of activities. For an outdoor watch you need good battery life, a screen that can be seen outdoors, a good built-in GPS, and a waterproof rating suitable for swimming. For these types of activities I’d have to go with the . It has a great waterproof rating, good battery life even using GPS, a screen that is highly visible in even the brightest sunlight (actually the brighter the better), and a premium build quality to withstand the weather. Some notable mentions in this category are the Suunto Spartan Trainer WHR, and the Samsung Gear Sport. Really, Garmin and Suunto are the two leading brands for outdoor GPS watches. For this, I don’t have to think long and hard, it goes without a doubt to the . The watch just does everything I need for fitness and does it well. It better considering how much it costs! For water sports, hiking, biking, and so many other activities it works very well as I just discussed. For resistance training I can pair it up with an external heart rate sensor to get more accurate results. Wrist HR sensors just aren’t that good at measuring your heart rate when you’re flexing your wrists a lot during weight lifting, doing push-ups, yoga, etc., for obvious reasons. 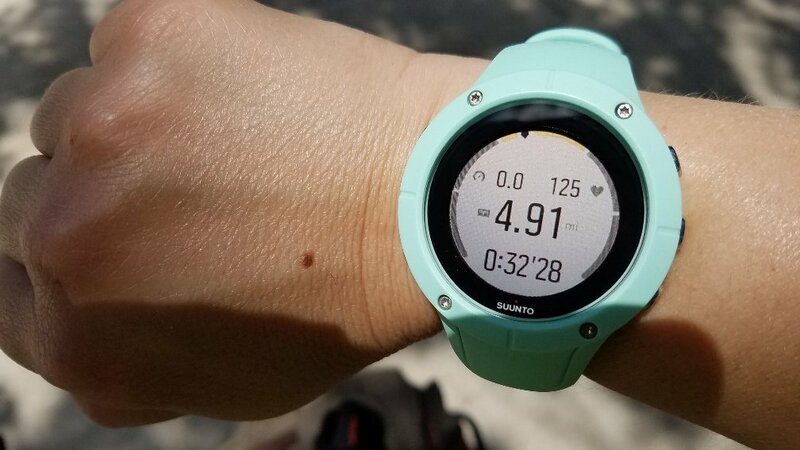 The Suunto Spartan Trainer WHR is also capable of pairing up with an external HR sensor, if you want a less expensive alternative to the Fenix. However, I have to say that the Fitbit Versa doesn’t do too bad of a job for many of my resistance workouts. It’s HR sensor isn’t as good as a chest strap for resistance training but it’s actually pretty darn good for moderate intensity level workouts. The Amazfit Bip is the best budget friendly fitness tracker with a built-in GPS. You’re getting a lot for the price tag with the Bip and it’s is still one of my favorite watches, even though I have more capable ones like the Fenix. Good readability in the shade too! 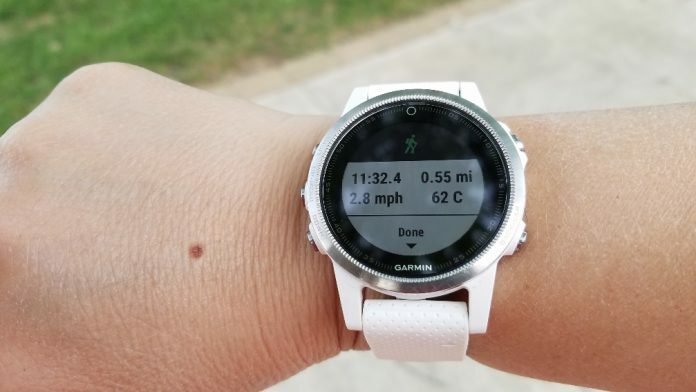 What I love about the Bip is that it has a good built-in GPS, decent heart rate sensor, is lightweight and comfortable, and has a very good screen for outdoor readability. Most budget trackers have screens that are hard to read in sunlight. If you’re wanting a fitness tracker with a good built-in GPS for less than $100, the Bip is probably your best choice. 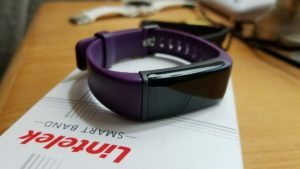 I’ve tested quite a few budget-friendly fitness trackers. These are ones that are typically less than $50 but give you many of the same features as you’d find in a Fitbit Alta HR for example. The best I’ve tested so far is from Lintelek on Amazon. If you’re wanting an entry-level, inexpensive, budget-friendly fitness tracker, with connected GPS and capable of tracking a variety of sport activities then this is a good one to try. You’ll have some difficulty seeing the screen of the Lintelek outdoors in bright sunlight but it does most things very well for those just wanting something to count their steps, measure their heart rate, and display notifications from their phone. You don’t have to spend a lot to get those basic features. 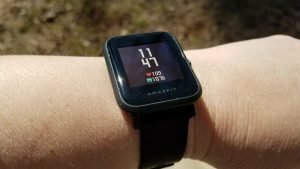 Okay, now this category is tough because I’ve tested some very good fitness trackers and smartwatches and they all excel more so in different areas but for the best all-around watch that I’ve used so far, it’s the Ticwatch Pro. Not only is the Ticwatch Pro a very good smartwatch running Wear OS but it’s a very good fitness tracker. It does both very well. The GPS has been accurate and the heart rate sensor has done well too. It also has a battery life that makes it much more practical to use as a smartwatch and I can’t tell you how important that it. 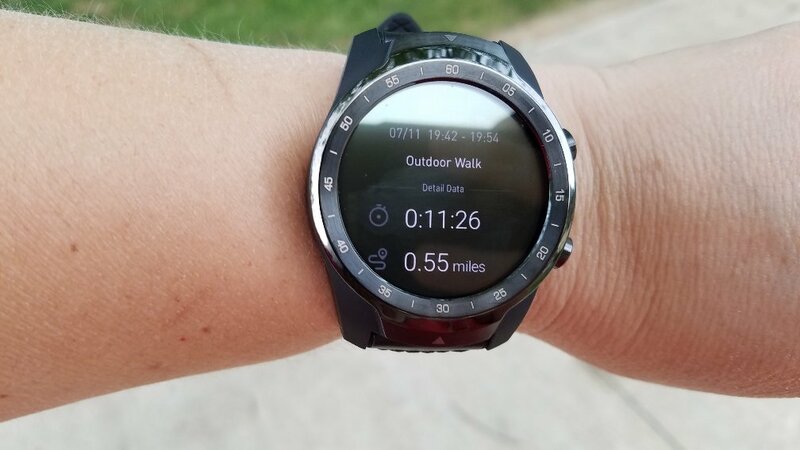 I don’t have to worry about the battery on the Ticwatch Pro lasting through the day, even if I use the GPS for a hike, answer a couple phone calls, use Google Assistant, respond to a few text messages, look at the weather, receive notifications throughout the day, track my heart rate steps, etc. After all, who cares how many things a watch can do if the battery only lasts a few hours? 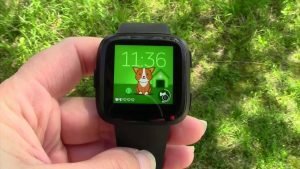 Luckily in 2018, we’re beginning to see very capable smartwatches that are doing much better with battery life and the Ticwatch Pro is one of them. The only drawback to the Ticwatch Pro is its size. It is a large watch with not the most gender-neutral design out there but it still does everything I want and need and does all of those things well. It’s not a perfect watch (I’ve yet to find a perfect watch!) but it’s the best of those I’ve tested so far for my needs. It’s both a very capable smartwatch and a good fitness tracker…and has a battery that won’t die half-way through the day. The fitness tracker that is most often on my wrist is the Fitbit Versa. The watch is so comfortable as stated before and it fits so well on my wrist. The step tracking and heart rate accuracy are both very good. Depending upon what watchface you choose, the screen is vibrant and colorful. Fitbit also has one of the most user friendly mobile apps that is compatible with a wide variety of other apps that I use like MyFitnessPal. Once in a while the Versa still has syncing issues but luckily I’m able to resolve them by either restarting the watch and/or restarting my phone. I am missing a built-in GPS though. So, for my second favorite watch it’s the Garmin Fenix 5s. The watch is just a workhorse that does pretty much anything and everything fitness related from supporting chest heart rate straps and other sensor, to counting reps and even every stroke I make while kayaking, the ability to create and load custom workouts, to having very good navigational abilities with a breadcrumb trail, compass, and routes (or courses) I can download and follow. It’s very hard to beat the Fenix. And the latest version, the Garmin Fenix 5s Plus recently released, supports downloaded music and color maps. However, I’ll be keeping my regular 5s since it’s such an expensive watch. It’s not the kind of watch most people can upgrade to the latest version every year due to its price but with newer versions being released every year you can get better deals on previous versions that are still very capable watches. So, there you have it. As of right now, these are the fitness trackers and smartwatches that are most notable to me. Later this year we’ll likely be seeing the release of the Samsung Galaxy Watch, Google Pixel, Apple Watch 4, Fitbit Charge 3, and others so maybe my list will change a bit by the end of the year. Next articleSamsung Galaxy Watch Unveiled!